These units are "open box" - they have not been installed or used. There may be some a minor ding, scratch or slight imperfection, most are hard to even find. Units have been tested and come with a full year warranty. 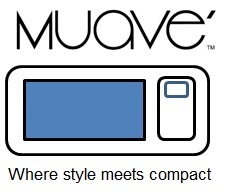 Muave' Convection Microwave Oven is ideally sized microwave ovens for your boat galley, RV or house kitchen or other compact area. 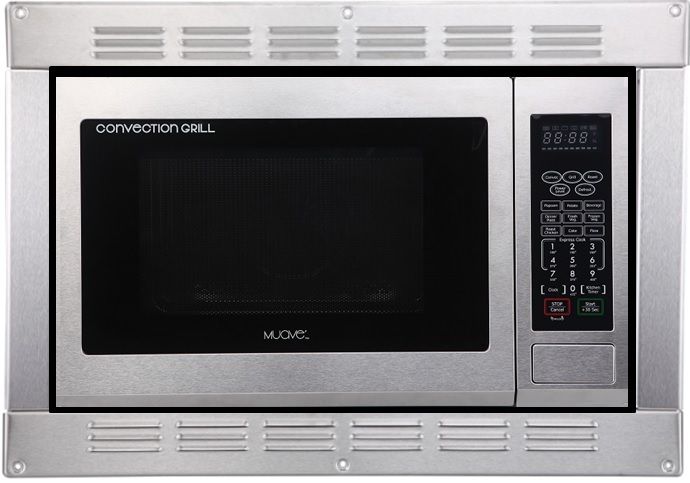 This stainless steel built in microwave convection oven features three ways of cooking; baking, grilling and microwaving all in one unit. Enjoy enhanced browning and crisping using the convection feature or use the radiant heat to enjoy a fresh grilled taste. Convection cooking shortens cooking time and you have all the conveniences of the traditional microwave oven including ten variable microwave power levels for customized cooking. Featuring easy find - green "start" and red "stop" buttons.